New Aprilia MotoGP recruit Bradley Smith says his test rider mindset will go "out of the window" when he makes his first wildcard appearance of 2019 in Qatar. The Briton was present for both end-of-season tests last year at Valencia and Jerez, and ended up taking over Aleix Espargaro's bike for the majority of the latter test after the Spaniard was hit by illness. Smith is set to make five wildcard appearances this season, and although his exact schedule has yet to be determined he has said he will be on the grid for the Qatar season opener in March. Asked by Motorsport.com how he planned to balance his test rider responsibilities with a desire to perform in his wildcard outings, Smith insisted he will be "there for myself" on the weekends he races. "At the end of the day, I’m going to attack every race like I have done before," said Smith, who is also contesting the inaugural MotoE season for SIC Racing on top of his Aprilia commitments. "The nice thing for me is I’ve ridden all this season, I was there for Valencia at the last race and I’ll be there for the first race with Aprilia. The fact that I’ve been at all the tests also, I’ve not had any time off. "I’ll be there at the Qatar test preparing for the wildcard. In certain aspects I have to work for the team, but everyone understands that also I’m working for the wildcard. "When I’m there for the wildcard, I’m there for myself. I’m there to put the Aprilia as far up the grid as I can, which means I’ll only be focusing on me and making this bike as fast as possible. "The test rider [mindset] goes out of the window until I have to come back to my day job." 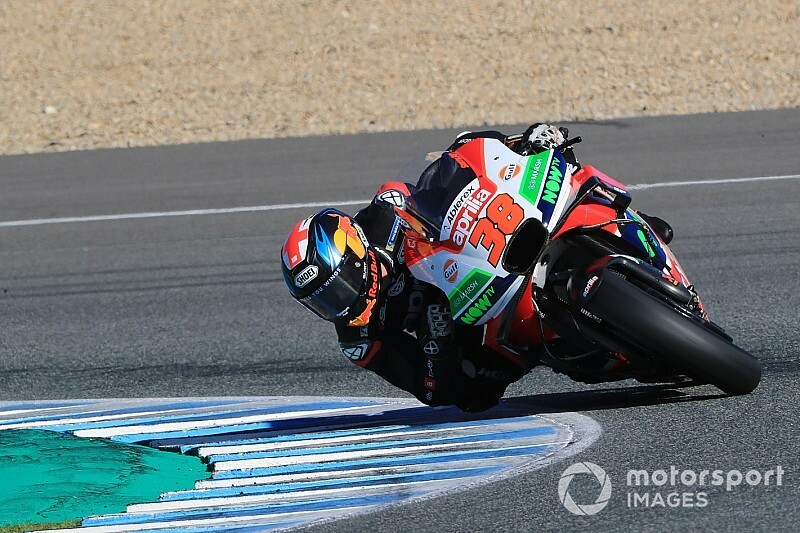 Smith added he feels that having a fast test rider present will help boost the level of the Aprilia's regular race riders Espargaro and Iannone, based on his experience of working with KTM tester Mika Kallio. KTM even came close to replacing Smith with Kallio towards the end of 2017 based on the Finn's impressive wildcard outings, before finally deciding to honour the remainder of Smith's two-year contract. "We’ve seen the benefit of having a fast test rider, we’ve seen the bike progress in a better way and we’ve seen a little bit the extra pressure of having a test rider at the track boosting the performance of everybody," said Smith. "You just have to look at [Michele] Pirro coming in as a test rider [at Ducati] – maybe it doesn’t impact the factory team but certainly it affects all the privateer bikes, they feel they have to step up to the mark as well. "Manage it in the right way and it has a positive impact on performance."